Check out the aerial view of all the action at BAM! 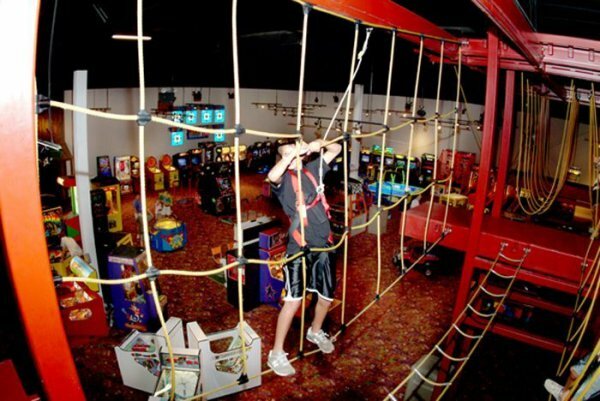 Challenge your nerves on our indoor high ropes course. 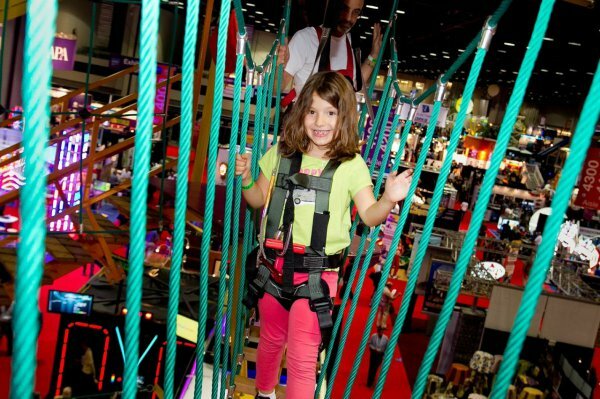 Test your skills on 12 different elements as you hover 11 feet over our large arcade floor. Step out on to our newest challenge, "Walk The Plank," ring the bell marked with an "X" and win 100 bonus points. Master the course and enjoy the view for just $7. Or, only $5 if you combine it with bowling or laser tag. Climbers must be at least 48" tall or have an adult accompany them. Maximum weight limit is 300 pounds. Call BAM! at 616-392-7086 for more information. A waiver form must be signed in order to participate on our High Ropes Course. Please complete the following electronic Release and Indemnity Agreement if you or your child will be attending a party at BAM! that will be using the High Ropes Course. If you are unable to complete the electronic form, please download, print, sign and return the form to BAM! prior to the party/event you or your child will be attending.